Along with the promotion, both Utley and Gilula were given new multi-year deals. In their new roles, the pair will not only continue to oversee a specialty film business that dominated this past year’s awards season but also will shepherd a newly-created television division, the company said. The production duties for Searchlight Television, however, will be directly overseen by Fox Searchlight’s recently-promoted presidents of production for film and TV, Matthew Greenfield and David Greenbaum. The promotion comes at a critical time for Fox, as the studio prepares to be absorbed by Disney as part of its $71.3 billion acquisition of parent company Fox’s film and TV entertainment assets. Disney and Fox shareholders are set to vote on the deal July 27. Utley and Gilula have been partners at Fox Searchlight for more than 18 years, serving as joint presidents of the division since 2009. The pair first collaborated on the 1999 film “Boys Don’t Cry,” which won Hilary Swank her first Oscar. Since then, Gilula and Utley have overseen the release of 150 Fox Searchlight productions and acquisitions, garnering a combined 36 Academy Awards and earning 132 Oscar nominations – including 15 best picture nods. Fox Searchlight, under Utley and Gilula’s watch, also has four of the past 10 Oscar winners for Best Picture. On top of the awards recognition, Fox Searchlight’s films have topped $5 billion worldwide at the box office under Utley and Gilula. “We are honored to continue the work of Searchlight, in collaboration with our brilliant filmmakers, aided by our extremely talented, hard-working and passionate staff, and with the deeply-appreciated support of Stacey and all our Fox colleagues,” Utley and Gilula said in a joint statement. Before joining Fox Searchlight, Gilula served as President and CEO of Landmark Theatres, which he co-founded in 1974. He grew the company from one screen to a national chain of more than 140 screens. He also spent five years on the board of directors and executive committee of the National Association of Theatre Owners. Utley has served in a variety of capacities for Fox, developing campaigns for films such as “Independence Day,” “There’s Something About Mary,” “Mrs. Doubtfire” and the “Star Wars” trilogy. As executive vice president of marketing, Utley oversaw all aspects of media, research, publicity and promotion for Fox’s theatrical releases. 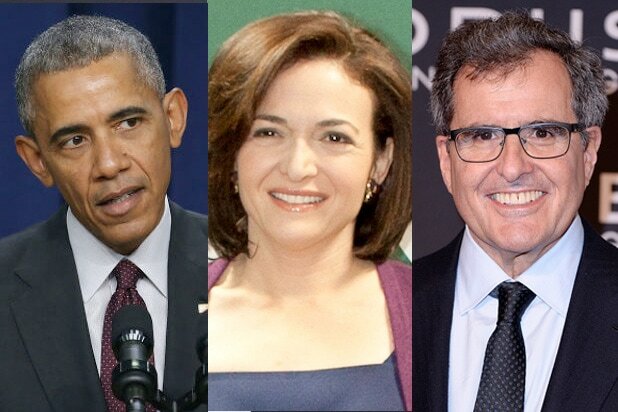 Disney CEO Search: Could Sheryl Sandberg, Peter Chernin, Barack Obama Replace Bob Iger? The list of who could run Disney in place of Bob Iger is shockingly short. The job of running a multi-tiered, highly diversified global entertainment company requires a rare mix of fiscal discipline, risk-taking and artistic creativity. Here's who might be up for it. The COO of Facebook would need a big inducement to leave her stock package behind, but Sandberg – who brought her kids to the “Star Wars” premiere – might be ready for a change. Having suddenly lost her husband last year, she might be ready for a move from Silicon Valley. And having sat on the Disney board since 2009, she knows the company well. She has the rare combination of strong interpersonal skills, creative thinking and management discipline that the Disney job requires. The CEO and President of NBCUniversal may be the most qualified person to take the reins from Bob Iger. He runs a media company that like Disney has a film unit, a tv network and a theme park. And at 57, he's young enough to take the gig. Only problem is: he already runs a global entertainment company, why switch? Already the CEO of two public companies, Square and Twitter, Dorsey is a Disney board member with a flair for creative thinking, risk-taking and a take-no-prisoners attitude to innovation. Is he too young and untested for a gig like this? Wall Street will probably think so. But he’d be a ballsy choice, and it would give Dorsey a chance to leverage all he knows about social media with online commerce against the storied brand. The former chief of ABC left Disney after learning she wouldn’t get the top job, but that doesn’t mean she should be counted out. She’s a formidable executive, with deep knowledge of the company’s culture. Downside? She said she wanted to direct. Rupert Murdoch's former No. 2 left News Corp. because he knew he’d never have the top job. He has a superb combination of experience running a global media company, taking big risks with technology investments (even if MySpace didn’t work out so well) and hiring excellent executives for entertainment divisions that mirror many – though not all – of Disney’s. 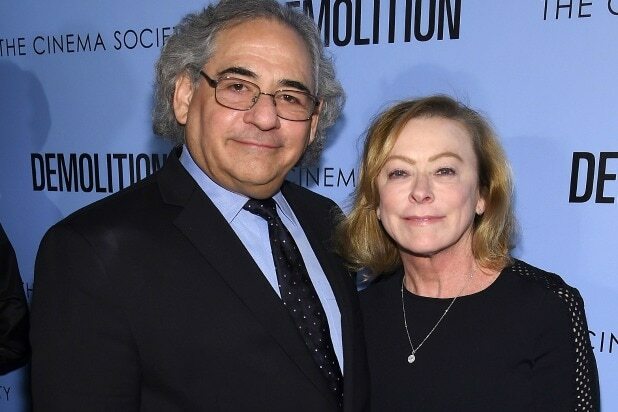 Chernin’s age, 64, argues against him, and God knows he’s making plenty of money through his movie-producing gigs and his investment vehicle, The Chernin Group. But he's a strong contender in a very limited field. Carey is a candidate similar to Chernin but without his former colleague’s flair. He is known as a top operator rather than a risk-taker. That said, he has rare experience running a global media company in the digital age. Did we say Hulu? The founder of Netflix is an unlikely choice to run Disney, but think about it: His company has arisen as the most formidable challenger to traditional movie companies. And as ESPN subscription numbers show, streaming is Disney’s greatest weakness. Hastings can run a multi-billion-dollar company, and in fact he already does. The CEO of LinkedIn is a former Warner Bros. executive who has grown up to be one of the most exciting business leaders in America. His maturation as a leader is all the more impressive because he did it in the harsh glare of a tech bubble. Weiner successfully took the professional social network public and might well be ready to take all he learned in Silicon Valley to Hollywood. They’d be lucky to have him. The president will be available and open for job offers starting in January 2017, coincidentally just months before Bob Iger needs to bow out, stage left. Would the president be interested in living in California? Joining the private sector? Running the Magic Kingdom? It would be just the kind of challenge that the “no drama” leader of the free world might find to his liking after the rough treatment he received in the White House.